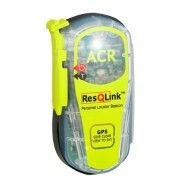 The ResQlink™ broadcasts a unique registered distress signal with a GPS fix on your position. A powerful 406 MHz signal relays your information to search and rescue satellites. Search and rescue teams use a separate homing signal emitted from your beacon to reach your location. In an emergency, the ACR ResQLink™ is an essential survival gear. 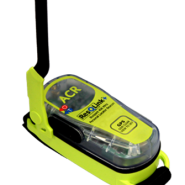 Now smaller, lighter and more affordable than ever, ACR’s GPS-enabled ResQLink™ uses proven technology that has helped save over 30,000 lives since 1982. With three levels of integrated signal technology – GPS positioning, a powerful 406 MHz signal and 121.5 MHz homing capability – the ResQLink™ quickly and accurately relays your location to a worldwide search and rescue satellite system, typically within five minutes. ResQLink™ guides rescuers to within 100 meters or less of your position. Take along the ACR ResQLink™ on your next adventure. In a crisis situation, it’s your best last chance.